As the Internet’s popularity began to rise in the late 1990s, the music industry had just enjoyed some of their best years to date. 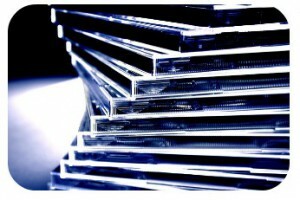 Annual sales soared over $14 billion at its peak, driven by an enormous demand for CDs that appeared to be insatiable. After 1999, however, consumer interest shifted online where users could download any song they wanted for free. While the Recording Industry Association of America tried in vain to stop illegal file trading, the practice only increased as sales of physical media fell year after year. Eventually Apple launched the iTunes Store as a way to counter the MP3 threat, figuring that a 99 cent per-song price tag could lure users away from poor quality downloads. The plan worked for a while: revenue from physical media continued to tumble but rising digital sales somewhat made up for the CD shortfall. Then the Internet changed the public’s listening habits again. Rather than collecting a series of downloaded MP3 files, users started to stream songs directly from sites like YouTube. This shift forced the industry to readjust once more, leading to the rise of streaming sites like Spotify and Apple Music. These services allow users either to pay a flat subscription rate or endure frequent advertisements in order to listen. Although this distribution model drew skepticism from the industry at first, streaming’s growing popularity as well as profitability has changed some minds. In the first half of 2016, sales of recorded music increased 8.1 percent to $3.4 billion. Much of the credit for this expansion goes to streaming, which grew 57 percent in the same time period and accounted for almost half of sales. Still, much of the music industry won’t call Spotify their savior just yet. Not only do annual sales remain down by half from the industry’s 1999 peak, but also experts say that YouTube and Spotify aren’t doing enough to monetize their free users. Competition between services is heating up as well, as the aforementioned firms battle with Amazon, Apple and Tidal for streaming supremacy. Only time will tell which of these companies ends up on top, assuming of course that another format doesn’t rise from the Internet and send the industry scrambling again. Is streaming the ideal distribution model for music? With streaming becoming increasingly popular, do you see a future for physical music media like CDs or vinyl records? Source: Lucas Shaw, “The Music Industry Is Finally Making Money on Streaming,” Bloomberg Businessweek, September 19, 2016. Photo by Michael Hicks.